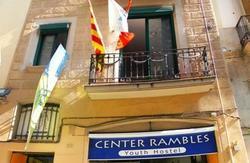 The hostel is perfectly located in Barcelonas Gothic Quarter, near all major tourist and cultural attractions with the Ramblas situated only a 5 minute walk away. The beach is only 12 min walk. 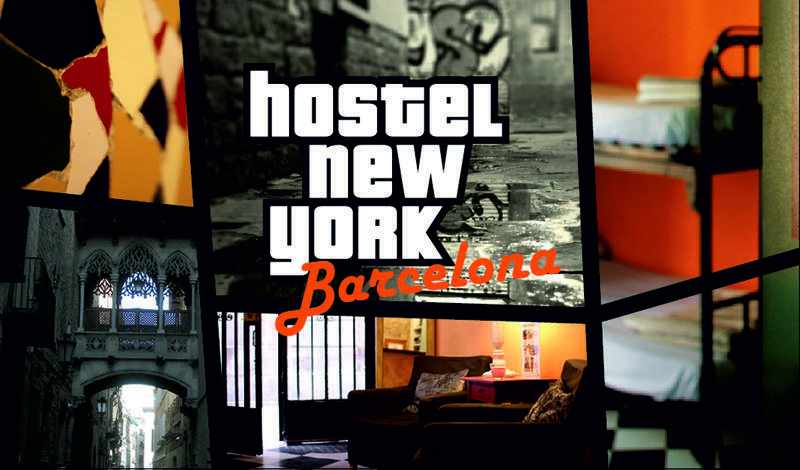 That is why Hostel New York provides accommodation of only 2,4 and 6 people per room. Each bed has a locker for our guest to store their personal valuable items. A padlock is required to lock it. 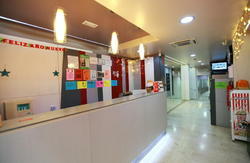 You can also purchase one from reception for 4 euros. Showers and toilets can be found throughout the hostel inorder to accommodate our guests comfort. Sheets and towels are available for hire for 2.50 euros (pay only the first night). 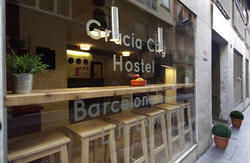 From the airport (El Prat): take the train to Estacio France (10min walk to hostal). As soon as you exit the station, turn left along the road Av Marques De l'Argentera. You walk along it, until you come to a main that intersects called Via Laietana. Cross over. Walk around behind the post office (Correus). Until you come to our street C/ D'en Gignas. Another option is to get the Aerobus to Placa Catalunya. Walk down the Ramblas until you pass Liceu Metro stop. Turn left onto C/. Ferran. Walk along it and turn right onto C/. Avinyo. The 5th street on your left is C/. D'en Gignas. If coming from Estacio Sants central railway station, same directions but first get the metro to Liceu L3 (Green Line). Arriving at Estacio Nord (main bus terminal) from Girona Airport, get the metro Arc Triomf (L1) and get off at Jaume 1 (L4). Walk down along Via Laietana towards the port and turn right onto C / D'Angel Baixers (behind post office) which will change to C/ Gignas.